Secretary, is on his left. On this day in 1882, Franklin Delano Roosevelt (FDR) was born in Hyde Park, N.Y., near Poughkeepsie. 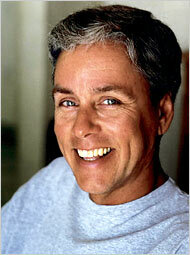 He grew up an only child, graduated from Harvard in 1904 and then Columbia Law School. In 1905, he married Eleanor Roosevelt, a niece of TR and a distant cousin. FDR was elected to the NY State Senate, served as Assistant Secretary of the Navy under Woodrow Wilson, and in 1920 ran for Vice President on the unsuccessful Democratic challenge to Warren Harding. Despite being paralyzed by polio in 1921, he was elected Governor of NY, serving from 1929 to 1932. As Governor, he tried out social programs that were more successful than national programs to combat high (as high as 25 percent) unemployment attempted by President Hoover. He was not financially well situated to run for President in 1932 because he had accumulated huge debts running his Warm Springs Foundation in Warm Springs, Ga. Originally envisioned as a spa for himself, FDR brought in more staff and served other patients with the care he had been obtaining for himself, regardless, it seems, of the patients' ability to pay. To allow FDR to run for President, Will Woodin, who as of 1928 was President or Chairman of two of the 20 companies in the Dow Jones Industrial Average–American Car & Foundry and American Locomotive–raised the money to pay off FDR's Warm Springs debts, and then helped him raise the money for his campaign for the presidency. FDR was elected the 32nd U.S. president in 1932. He appointed Woodin–one of only three Republicans in his first Cabinet–as his Treasury Secretary. It was an inspired selection. As a business man rather than a Wall Streeter, Woodin managed the pumping of greenbacks into the banking system, the closing of banks while the solvent ones were separated from the insolvent ones (which were closed), the ending of private ownership of gold in anticipation of devaluation (Woodin salvaged an exception for collectors of gold coins), and the walling off of commercial banking from investment banking as the price of giving banks federal deposit insurance. In 1933, Roosevelt embarked on his New Deal, which included, besides Wall Street reform (the Glass-Steagall Act and the Acts creating the SEC), the creation of the Work Projects Administration (WPA), the Federal Industrial Recovery Act and the Civilian Conservation Corps (CCC). The New Deal was controversial, but many of FDR’s reforms, including Social Security and the minimum wage, are now entrenched institutions supported by both major parties. Roosevelt led the United States through the Great Depression and then through victory over Hitler and Mussolini in World War II. Roosevelt died in his beloved Warm Springs, Ga. in 1945, leaving Truman to end the war with Japan and utilize FDR's blueprints to build the United Nations. 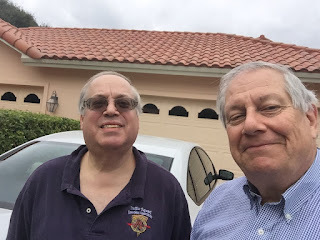 January 31, 2016–I am down in Florida for a few weeks and had the pleasure of a visit today from Eric Wollman, Esq., on the road, traveling from a convention in Titusville, Fla. to see a relative in Delray Beach. Our location is en route, if you go the scenic route on A1A. That's Eric on the left, in front of where we are staying. He drives the activities of the Former Office-of-the-Comptroller Employees Association (FOCEA). The Comptroller in this case is the Comptroller of the City of New York. As the holder of the CEO spot and (so far as I was able to elucidate) every other office at FOCEA, Eric's responsibilities are to notify former employees of the Comptroller's Office when retirement parties are happening. FOCEA operates on the motto: "No dues, no rules, no meetings." You could count retirement parties as meetings, but FOCEA adheres rigorously to its announced mission by restricting itself to publicizing these meetings, not organizing them. Eric and your Blogger. Selfie by JT Marlin. I have occasionally posted on the activities of the Comptroller, where I worked in 1992-2006 as Chief Economist (and for a time Senior Policy Adviser) to three elected Comptrollers–Liz Holtzman, Alan Hevesi and Bill Thompson, who served concurrently with Mayors David Dinkins, Rudy Giuliani and Mike Bloomberg. On length of service, Eric has me beat by a wide margin because he was an attorney in the Comptroller's Office before I arrived, working for Jay Goldin, who was Comptroller when the late Ed Koch was Mayor; Goldin is still alive and active, and still sends a card with a holiday poem every December. After I left the Comptroller's Office, Eric has worked under John Liu and now Scott Stringer. Here is a list of all these NYC Mayors, #105 to #109, because sometimes I forget some of the dates and maybe you do too. The terms of the Comptrollers were coterminous with the Mayors except for Michael Bloomberg, who had Bill Thompson as Comptroller for his first two terms and John Liu as Comptroller for his third term. Postscript: Eric contacted me to say that all this is true, but his civil service career goes back even further, to the administration of NYC Mayor #103, John Lindsay, under whom he took his civil service exam. He was then "picked up"–hired off the list of successful exam-takers–under Mayor #104, Abe Beame. He first worked for the Department of Finance starting in 1970 and then moved over to the NYC Comptroller's Office in 1974 under Comptroller Goldin; he was hired by Steve Newman. This YouTube video sent to me by my sister Brigid was filmed by some smart filmmakers at a supermarket in Latin America (Brazil). It shows shoppers being offered fresh pork–so fresh that the piglet is made into sausage on the spot. The mostly silent–at first–reaction of shoppers speaks loudly to what we don't know today about the source and processing of our food. Jan. 28, 2016–Today the CityEconomist blog site just passed 230,000 page views. All blogs together have passed the 945,000 mark. Thank you for reading. Here are the Top 10 posts for the past month. COST OF 9/11 | Gulf War II–a Non Sequitur? 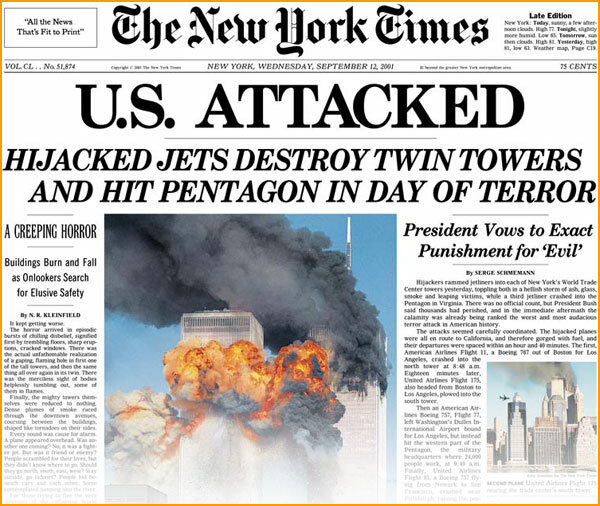 New York Times, Sept. 12, 2001. A New York Times story by Andrew Ross Sorkin published online on Nov. 16, 2015 and in print on Nov. 17 (pp. B1 and B4) estimates the total cost of 9/11 to the USA as potentially "as high as $3.3 trillion." That seemed like a lot to me. The final estimates of the total cost to New York City came in at $70-$80 billion, after the initial estimates of deaths were cut in half and the damage to the hotel next to the World Trade Center was found not to be as bad as feared. Much of the damage was, of course, paid for by insurance payouts–and, of course, terrorism insurance premiums then soared, or deductibles, or both. Federal assistance to the City also helped, with $20 billion promised and a good portion of that delivered. The total cost is defined as the "economic cost of Sept. 11" to the entire United States. The estimate starts with $178 billion for the physical and economic costs–$55 billion for physical losses and $123 billion for economic losses. These numbers are in the ballpark, although shifting the focus from New York City to the nation cancels out economic costs to NYC that were premised on corporations moving jobs out of New York City (e.g., for New Jersey or Westchester). Many of these jobs came back, but that was not at all the most likely scenario back in 2001 when I worked on these numbers as chief economist for the NYC Comptroller's Office. When buildings are destroyed, America's wealth declines and resources are diverted from the rest of the economy to replace them. When airports are closed all across the United States, the impact on the national economy is also obvious (think about the impact on tourism in Hawaii and Nevada, for example). To go to war in Iraq ($2.516 trillion). The Second Gulf War began with the President's decision to retaliate against Iraq for building alleged weapons of mass destruction. The decision was controversial at the time and still is. The $2.5 trillion price tag for the second Gulf War may even be a lowball estimate if the United States stays in Iraq and Afghanistan and keeps spending in this arena. Whether one considers the decision war as justified or not, the spending on it cannot be described as an inevitable consequence of 9/11. It was a consequence of how the nation responded. To create the Department of Homeland Security ($589 billion). The new department is a reshuffling of existing agencies. Something had to be done at the Federal level to respond to the failures of intelligence that allowed successful acts of destruction on 9/11. But the size of new domestic security spending grew because of the same controversial information that led to the Second Gulf War. These "costs" are real. The numbers are in line with those that Linda Bilmes and Joe Stiglitz put forward as the cost of the Second Gulf War (the beginning of the First Gulf War just celebrated its 25th anniversary). But it is inappropriate to call them the "costs of 9/11". The 9/11 attack may have created a climate that created support in Congress for going to war again in Iraq and overhauling domestic security agencies. But it was not a sufficient cause. It was not a consequence of 9/11 in the same way as destruction of buildings and interruption of economic activity. It was a non sequitur. FIX THE MIX | Missing Glass-Steagall! Sen. Carter Glass (D-Va.) (L) and Rep. The Democratic candidates in the last debate seemed to agree that the American banking system needs fixing. Sen. Bernie Sanders argued that the erosion of the Glass-Steagall wall between commercial banks and financial speculators was the setting for the 2008 financial meltdown. I think he is right on the mark, although NPR Fact Check (Jim Zarroli) questioned Sanders and Washington Post Fact Checker Glenn Kessler gave Sanders three pinocchios for saying on January 5 that "Glass-Steagall banned commercial banks from making loans to investment banking firms to facilitate their trading in the shadow-banking arena." This suggests that we need to get more of a consensus on what Glass-Steagall actually did. As voters, we need to understand what the argument is about. The stock market's collapse since the beginning of 2016 may be in part a sign that the slow implementation of Dodd-Frank reforms is opening up re-emergence of fear about our financial system. We have not done since 2008 the thorough-going financial market fixup that FDR and his GOP Treasury Secretary William H. Woodin and Senate Banking Chairman Senator Carter Glass (D-Va.) undertook in 1933. Glass-Steagall's Goal: Fix the Mix! An easy way to remember what Glass-Steagall did is that it was designed to Fix the Mix, i.e., to end the mixing of speculative and deposit-taking activities. One place to begin is to remember what FDR and Secretary Woodin faced when they opened for business in Washington on Saturday, March 4, 1933. Most banks had been closed the day before, by order of state governments. Some were bankrupt. The public was panicked about the financial markets. They were afraid that they would never see their bank deposits again. Some of them unfortunately turned out to be right about that. Then FDR declared a "bank holiday". He closed all the banks for the coming week, and then later extended the holiday for some of the banks. Treasury Secretary Woodin personally supervised round-the-clock printing of greenbacks, complete with cinematic coverage, while teams of his Treasury bank examiners looked at every bank and decided which ones would be pronounced solvent and opened up and which ones would be closed and liquidated, with depositors forever losing full access to their funds. Meanwhile, House Banking Chairman Rep. Henry Steagall, Democrat of Alabama, carried water for the banks. The banks desperately wanted deposit insurance to prevent future panics and reassure the public and allow the banks to get back to the business of making money. Steagall proposed deposit insurance, and eventually the law created the FDIC and got insurance, initially only up to $2,500 per depositor. FDR and his Treasury Secretary were at first totally opposed to this deposit insurance. They wanted regulation of the kind that Sen. Glass proposed, a strict prohibition against banks putting at the disposal of investment banks any of their depositors' funds. Sen. Glass correctly worried that deposit insurance might open up complacency about how banks were investing their money. They all understood that government-enabled insurance of bank deposits would leave the banks free to speculate with depositors' funds because depositors would no longer be afraid of their bank going broke. 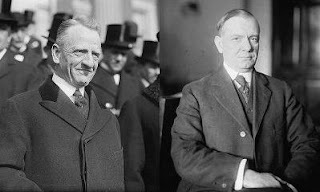 FDR and Woodin were only induced to support limited Federal assumption of banking risks in return for Steagall's agreeing to support legislation that Sen. Glass had introduced, creating a wall between banks and speculative financial institutions. Sen. Glass was seeking to protect the Federal Reserve System he had helped create in 1913, when he had Steagall's job. They were all interested in restoring faith in financial markets. At this very time, Adolf Hitler was gaining ground in Germany because of the crash of 1929 and the inability of the financial markets to get back on their feet. 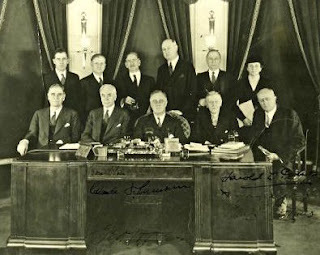 The Glass-Steagall Act (i.e., the Banking Act) of 1933 had two main parts. The half of the Glass-Steagall bill that was gutted over time and especially in 1999 was the Glass part, which essentially kept investment banks from using bank funds for speculative purposes, whether it involved lending to non-bank institutions or guaranteeing their activities, or just mixing up the two kinds of businesses. Only in return for this regulation did FDR and Woodin agree to the Steagall half, the federally sanctioned insurance of bank deposits. Glass-Steagall was about protecting the henhouse assets of FDIC-insured banks from foxes selling speculative securities and generally engaging in risky forward transactions (futures and options). Glass-Steagall was about putting a wall between the humdrum business of taking deposits from consumers and making secured loans back to them, and the risky business of speculating in business equity and debt. A passive role, helping someone that wants to reduce their risk. An active role, entering the market with the intent of gambling. In this role, they are creating risks, and the more they disguise a deal to minimize the significance of risks in a transaction, the more dangerous their activity to systemic stability. Glass-Steagall was designed to reduce market risks in two ways. It provided federal deposit insurance, which reduced the risks for both the banks and their depositors. The banks really wanted this, because when FDR took office the entire banking system was shut down by risks that went sour. It provided for bank regulation to limit the risk to the Federal Government. The law was strict. No existing mixing of investment banking and deposit-taking banks was permitted by Glass-Steagall. There was no "grandfathering". Bank Lobbyists' Goal: Add to the FDIC and Mix the Fix! What has happened since Glass-Steagall? Federal Deposit Insurance Corporation (FDIC) coverage has been beefed up more than 100-fold. The limit has steadily increased from the original $2,500 per depositor to $250,000 per deposit account. Depositors are now allowed to have more than one covered account (sole, joint, custodian etc. ), multiplying the coverage further. Beyond that, the FDIC for efficiency reasons in practice avoids the costly litigation involved in liquidating a bank and instead tries to negotiate takeover over its assets and liabilities by a solvent bank, which in effect means 100 percent coverage of deposits. Starting under President Reagan, Congress has been mixing the fix, dismantling protections put in place by FDR, Woodin and Glass in 1933, in the name of "modernization". These moves, culminating in the 1999 Gramm-Leach-Bliley Act, lowered the walls between the banks and non-bank institutions, without a corresponding increase in regulation of non-bank financial institutions. When Gramm-Leach-Bliley was passed, the Economist magazine in 1999 expressed concern that deregulating the banks without a broadening of oversight of non-bank institutions of the kind that Britain had undertaken in 1997 was inviting trouble. The Economist was right. 1. Warren Gunnels, Sanders’s chief policy aide, is quoted by Glenn Kessler of the Washington Post: "[C]ommercial banks played a crucial role as buyers and sellers of ... credit-default swaps, and other derivatives. This would not have happened without the watering down of Glass-Steagall in the 1980s and the eventual repeal of Glass-Steagall in 1999." 2. Brookings Fellow Phillip Wallach agrees that Citicorp could never have become such a megabank without Gramm-Leach-Bliley: "That is the best arrow in the Glass-Steagall revivalists’ quiver. Citibank deposits were attached to Citibank bad investments, and Citi was the Too-Big-To-Fail-iest of them all." 3. James G. Rickards, former general counsel of the Long-Term Capital Management hedge fund which was brought down by a black swan, agrees with Sanders that the 1999 law was a bad one and that there was an important cultural shift after Glass-Steagall was repealed. Previously, he said, such shadow-bank loans required permission from the Federal Reserve under an rule 4(c)(8). "The presumption was it was illegal unless the Fed said you can do it. After Glass-Steagall, we didn’t have to ask permission, and it enabled the banks to do what they wanted." 4. Camden R. Fine, chief executive of the Independent Community Bankers of America, favors a restoration of Glass-Steagall. He notes that Lehman owned a federally insured industrial loan company (ILC) that held insured deposits: "[T]he repeal of Glass-Steagall gave both commercial banks and investment banks who owned ILCs much greater flexibility to deploy their capital and their deposit funds to whatever purposes they wished, and those firms leveraged themselves many, many multiples of times more than they would have been allowed before." 5. Former Federal Reserve chairman Paul Volcker supports the idea that eliminating the Glass-Steagall separation of commercial and investment banking allowed for a trading mentality to take hold at some banks. 6. Harvard B School Prof. David A. Moss in 2009: "[T]he success of New Deal financial regulation [may have] contributed to its own undoing. After nearly 50 years of relative financial calm, academics and policymakers alike may have begun to take that stability for granted. Given this mindset, financial regulation looked like an unnecessary burden." 7. Former Federal Reserve Chairman Alan Greenspan said in October 2008: "Those of us who have looked to the self-interest of lending institutions to protect shareholders’ equity, myself included, are in a state of shocked disbelief." 8. John Reed, former Chairman of Citigroup, wrote recently in The Financial Times that the Glass-Steagall wall between banks and investment banks was needed: "As is now clear, traditional banking attracts one kind of talent, […] in many important respects, risk averse. Investment bankers and their traders are […] comfortable with, and many even seek out, risk and are more focused on immediate reward. In addition, investment banking organizations tend to organize and focus on products rather than customers. This creates fundamental differences in values." 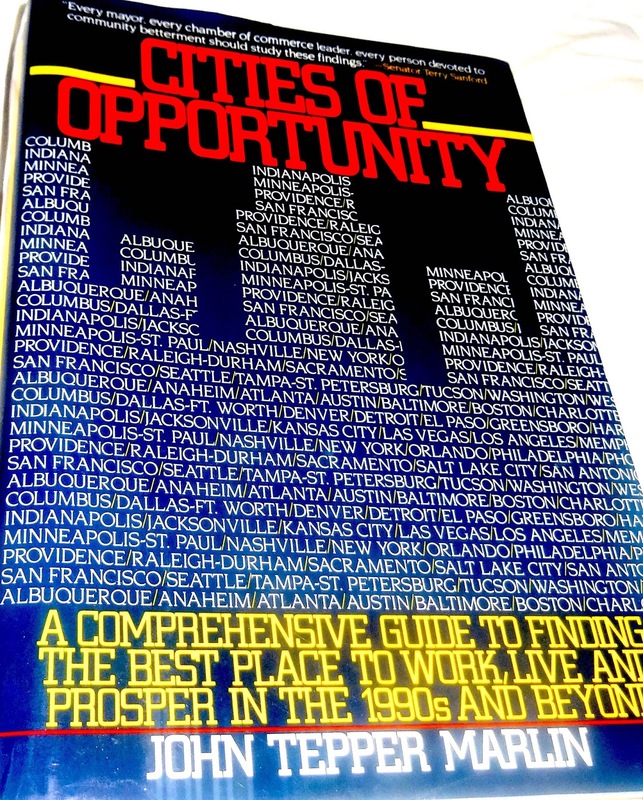 January 10, 2016–Last March I wrote about my being in Miami in 1988 on a book tour for "Cities of Opportunity". Miami then ranked #1 for homicides and total crimes. (The ranking improved but the violent crime rate has been rising since 2010; in one weekend last month 14 people were shot in four unrelated incidents in Miami-Dade County). Tarnished Image Alert: Miami officials are concerned that a new book contains outdated information that gives a wrong impression about the area. 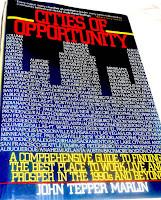 The book, due out in May, is called Cities of Opportunity. It lists 42 American cities that are promising and exciting places for young people to relocate. Miami makes the list. Sounds very positive, except for one glitch. The author, John Tepper Marlin, dares to suggest that we've got a little gun problem down here in South Florida. Now, where would he get a crazy idea like that? In particular, he mentions the infamous loophole in the state's new handgun law that made it legal to walk around with a six-shooter on your hip. That part of the law was hastily fixed, but not before Marlin had already sent off his manuscript. The city had a chance to point out this mistake, but was two months late in replying to Marlin's publisher. Consequently, the gun stuff stays in the book. Some complain that it's not fair to bring up the Dodge City slur again, and fear that the book will present a distorted view of how safe it is to live down here. If only Mr. Marlin had taken the time to visit in the last week or so, he would have gone back to his typewriter with a completely different outlook about guns in South Florida. • Someone with an automatic weapon opened fire from a passing car at teenagers on a street corner in Coconut Grove. Three youths, including two high-school football stars, were wounded in the apparently random attack. 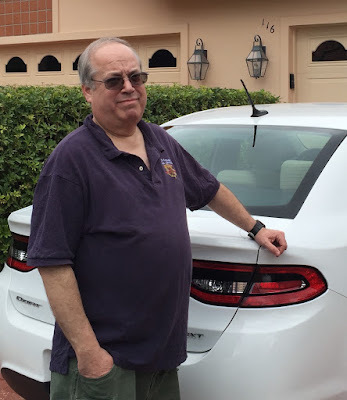 • An ex-con robber with a violent past pulled a 9 mm Smith & Wesson on a Miami cabbie, who quickly shot him to death with a Colt .45, one of two pistols he was carrying in his taxi under a new concealed-weapons permit. • A University of Miami law school graduate named Irv Ribler was shot to death while driving down 1-95 in North Broward. Police believe the murder stemmed from a brief traffic altercation with strangers. • In Liberty City, three men were shot on the street when somebody in a white Camaro or Firebird opened fire with a shotgun. As the car roared off, the gunmen kept shooting at bystanders, and wounded a 19-year-old woman. • As her children watched, a woman upset over a custody battle shot her ex-husband to death with a pistol in the parking lot of Dade's main juvenile court. • Four friends out cruising in North Miami decided to play Russian roulette with a .38-caliber pistol. Jose Cotto, age 14, lost. He was the third teenager to die this way in Dade County since January. • Police arrested two men for the robbery-slaying nine months ago of a children's ice-cream vendor near Kelsey Pharr Elementary School. Authorities noted that this murder was not related to the robbery-shooting of another ice-cream vendor near the same school in January. • A former member of the Yahweh religious sect pleaded guilty to second-degree murder in the shooting deaths of two tenants who refused to leave an Opalocka apartment when the Yahwehs tried to evict them. • In Fort Lauderdale, a Canadian tourist was shot to death in his beachfront hotel room while Spring Breakers partied along The Strip. • Burglars who broke into a Northwest Dade home stole a 9mm handgun, an Uzi semiautomatic machine gun, a .32-caliber pistol, a 12-gauge shotgun and a Beretta of unspecified caliber. This is only a recent sampler. Yet, anyone can plainly see that not one of these incidents resulted from so-called "loopholes" in Florida's firearms laws. So maybe next time a Mr. Smartypants Liberal wants to write a book, he'll buckle down and do his homework. A gun problem? Us? What an imagination, this guy. The just-released BLS jobs report for December [link is to the BLS News Release] shows payrolls rose by 292,000 in December. The good news will be much appreciated as Asia and Europe suffer from slack demand and pessimism. Upward revisions for October and November reinforced the labor market strength in December, producing an average growth of 284,000 over the last three months, up from an average of 221,000 per month for the full year 2015. Economists Underestimated December Growth. A Reuters survey of economists released an hour before the BLS data showed an average expected growth figure of approximately 200,000 new jobs. The U.S. "Misery Index" Is a Tiny 5.4 percent. We should be so happy. The unemployment rate in December was 5.0 percent for the third month in a row as inflation remains low– the November Consumer Price Index for all Urban Consumers (CPI-U) rose only 0.4 percentage point, seasonally adjusted, compared with November 2014. Industry Detail. Professional and business services added 73,000 jobs in December, with nearly half the gain from growth in temporary help services, which rose 34,000. In 2015, employment in professional and business services increased by an average of 50,000 per month, not much below the 59,000-a-month figure in the strong year 2014. Construction showed strong job growth for the third consecutive month. Health care also continued to add jobs in December and showed an even stronger year in 2015 than the year before. Employment in food services and drinking places increased by 37,000 in December, another bright spot. in the previous month. Employment rose among couriers and messengers. Other sectors changed little. Labor Market. Among people who were neither working nor looking for work in December, 1.8 million were classified as marginally attached to the labor force, down from 2.3 million a year earlier. The number of discouraged workers, a subset of the "marginally attached" who believed that no jobs were available for them, was 663,000 in December, little different from a year earlier. The labor force participation rate, at 62.6 percent, has shown little change in recent months. The employment-population ratio, at 59.5 percent, has also changed little. The BLS has published a little noted article in December by Steven F. Hipple on the drop in the U.S. labor force participation rate since 2000. BLS counts people who are neither working nor looking for work as “not in the labor force.” From 2004 to 2014, the percentage of such people has increased, reducing the labor force participation rate. Data from the Current Population Survey (CPS) and its Annual Social and Economic Supplement (ASEC) provide some insight into why people are not in the labor force. In the ASEC, people who did not work at all in the previous year are asked to give the main reason they did not work. A quick summary of Hipple's article is: Between 2004 and 2014, all of these factors came into play, and a single factor goes a long way toward explaining what is happening–the aging of the work force. More workers are becoming disabled or retiring, at the same time as workers withdrawing from the labor force continue to cite the other reasons.